After producing some incredibly versatile work for our clients it is a pleasure to announce that we have been shortlisted for two Digital Impact Awards for both Chill Insurance and Kwik Fit. Our work has been chosen as one of the standout campaigns in both the ‘Best Use of Digital from the Financial Services Sector’ category and in the ‘Best Use of Digital from the Travel, Leisure and Tourism Sector’ categories respectively. It really is a testament to the hard work of all of our staff that we are picking up so many nominations and it’s nice to see that the work we do is getting recognition from across the industry. 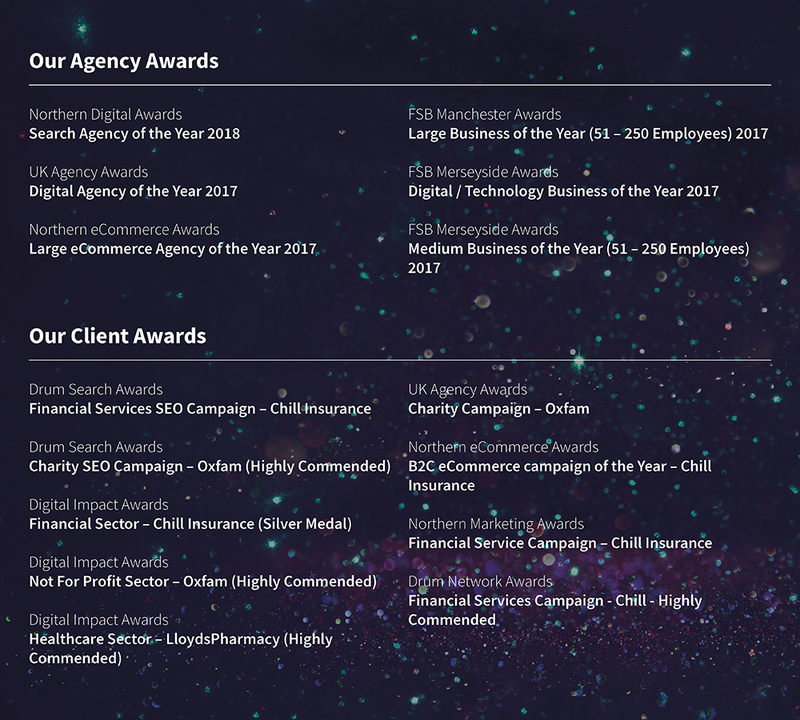 The categories at these awards are so hotly contested and as an independent agency it is nice to be acknowledged alongside some of the biggest players in the search marketing and digital industries. These awards have been kind to us in the past and we look forward to continued success moving forward. It’ll be a fantastic evening and we look forward to seeing everyone at the event. The event will take place on 16th October at the London Hilton on Park Lane. Want to find out how an award winning search marketing agency could help your brand? Why not get in touch? Or for actionable advice from our years of experience – check out our resources. Google Speed Update is now live! Click Consult: 15 years of search marketing excellence! Paid Search (PPC) is a branch of marketing that has a lot of data at its fingertips – but the real skill is making the most of it.